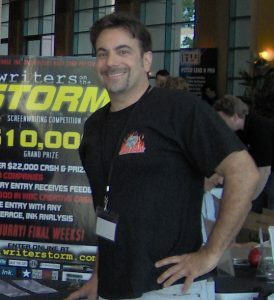 By 2010, Jim was writing regularly about the biz for both Script and Creative Screenwriting magazines. Coverage Ink had grown from its humble beginnings into a team of 20 story development professionals. Jim also hosted agent/manager panels at Great American Pitchfest and Writers Boot Camp as well as the annual Agents/Managers Hot Sheet – Live! panel at Scriptfest. Coverage, Ink also provided judging services for other screenwriting contests as well as powering several other companies’ coverage services. Then CI launched Coverage Ink Films, its mission to provide provocative and politically ballsy, elevated geek entertainment. Its first production was the Godzilla-themed short film comedy SHOWDOWN OF THE GODZ, starring George Takei (“Star Trek.”) CI Films followed that up with LIBERATOR, a gritty short film about a disgraced ex-superhero turned whistle-blower. LIBERATOR starred Lou Ferrigno (“The Incredible Hulk”,) Peta Wilson (“La Femme Nikita,”) Michael Dorn (“Star Trek” TNG & DS9) and Ed Asner (“Up,”) won ten awards and led to a 2-issue comic book adaptation from Bluewater Comics. In 2015 CI retired Writers on the Storm and launched a new concept: Get Repped Now. 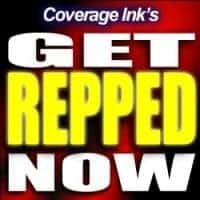 Get Repped Now is not a contest, but rather, acts like a high-powered referral service. During the Get Repped Now promotion, (generally about a six-week window annually) all screenplays and pilots submitted to Coverage, Ink for script coverage that score a consider or better for script are then sent to our manager panel along with their recommendations. Get Repped Now has introduced dozens of screenwriters to the town. They also got Brandon Barker’s “Nottingham and Hood” to manager Jake Wagner (then at Benderspink,) who sold it to Disney for six figures. In 2017, Coverage Ink Films is in post-production on the first-ever (as far as we know) US-produced animated horror feature film. MALEVOLENT stars Morena Baccarin (“Deadpool,” “Firefly,”) Ray Wise (“Twin Peaks”) and the legendary William Shatner (“Star Trek.”) Both MALEVOLENT and LIBERATOR were successfully crowd-funded. 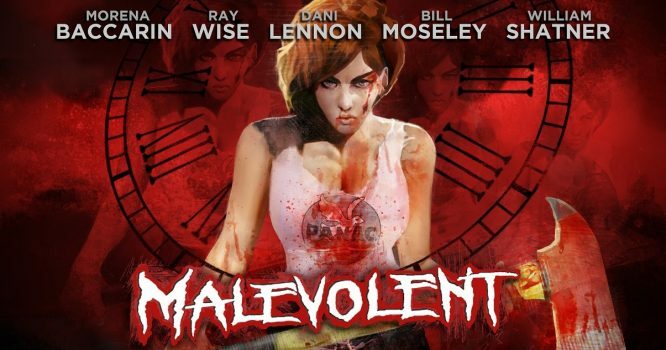 MALEVOLENT will be released in 2018. www.malevolentmovie.com. Coverage, Ink Films’ next project will be the gritty, Orwellian sci-fi web series/feature TRIBUNAL. Coverage, Ink now has over 25 readers and includes production companies, managers, entertainment attorneys, working screenwriters, and most of all, emerging screenwriters and TV writers, among its clients. CI has been instrumental in developing dozens of produced feature films and has helped tens of thousands of writers with empowering, constructive criticism. Jim Cirile continues to write about the industry for the American Screenwriters Association, guest blogs for The Wrap and, of course, the Coverage Ink blog. We look forward to checking out your material! Meet The Coverage Ink Team.